12.1" x 16.4" stitched on 18 count. 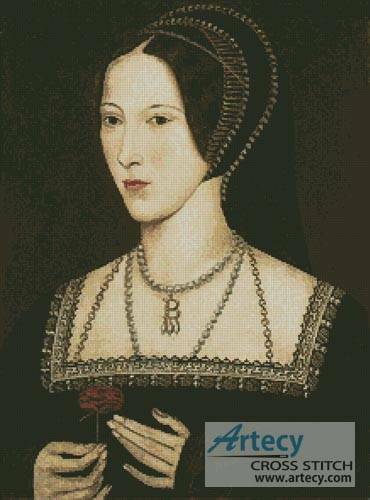 Anne Boleyn cross stitch pattern... This counted cross stitch pattern is of Anne Boleyn who was the second wife of King henry the VIII. Only full cross stitches are used in this pattern.